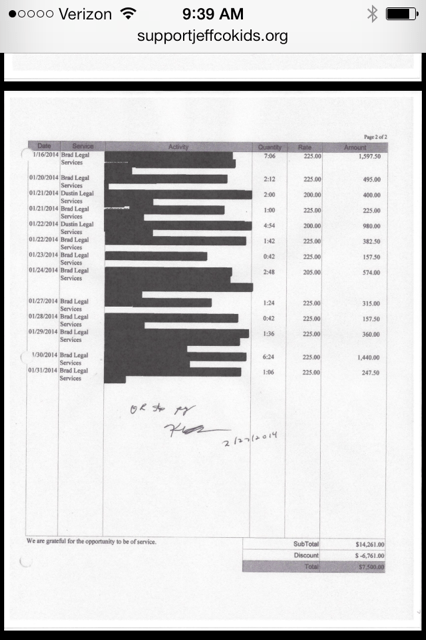 As we showed you a few days ago, we obtained a copy of the board attorney’s invoice. All information other than pricing was redacted (meaning the tasks this firm is performing and services being provided are blacked out.) Click on the link below to take a look. 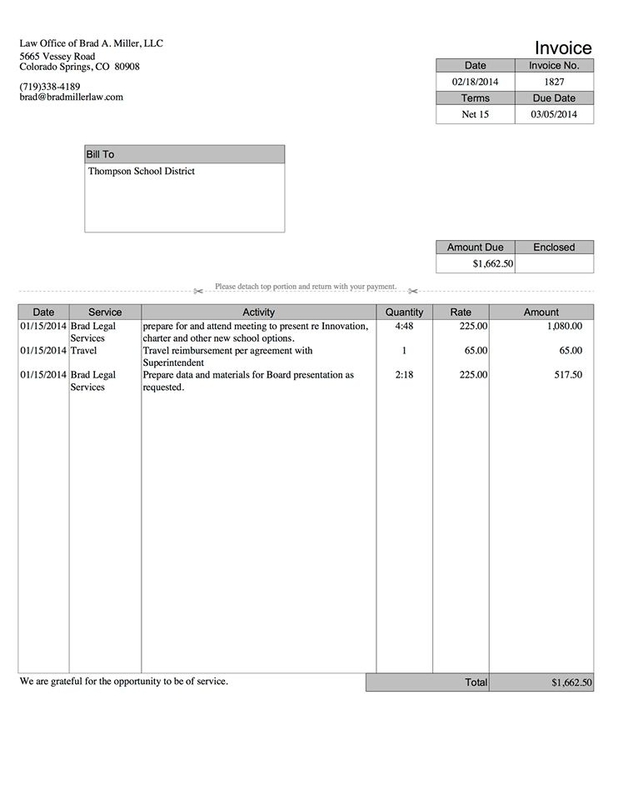 Interestingly, the Thompson School District’s invoice has no information redacted. Attorney-client privilege typically pertains to specific legal advice regarding personnel issues, lawsuits, or other specifically privileged information such as negotiations. We support the appropriate use of attorney-client privilege. However, upon investigation regarding Colorado statutes, we question whether the information contained in the invoices we obtained was appropriately redacted. This really is a matter of transparency and providing information to the public upon request. The board attorney hire was not handled appropriately and the public was denied access to appropriate and public board discussion. Several community members have written and addressed this in public comment, requesting this discussion and transparency. It has yet to take place despite the contract being month-to-month.